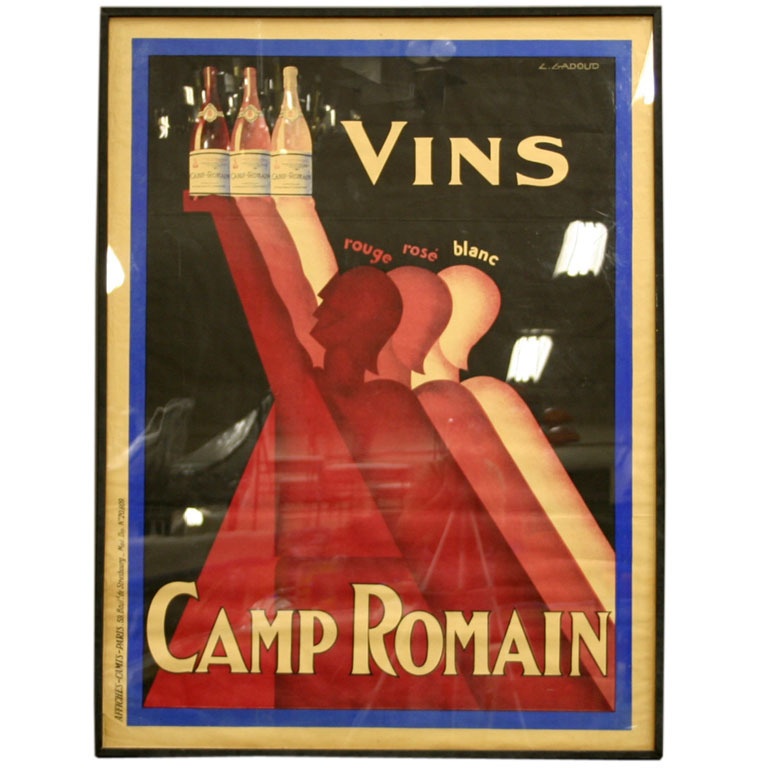 Bold vintage Art Deco poster for red white and rose wines. Beautiful vibrant colors. CREATOR: L. Gadoud COUNTRY: France CREATION DATE: 1930'S MATERIALS: Paper,linen,acid free paper CONDITION: Excellent,no issues or repairs LENGTH/WIDTH: 47" (119 cm) HEIGHT: 63" (160 cm) Suggested Retail: 2400.